The 88th annual conference of Srimanta Shankardev Sangha started on Wednesday at Morigaon in Assam. 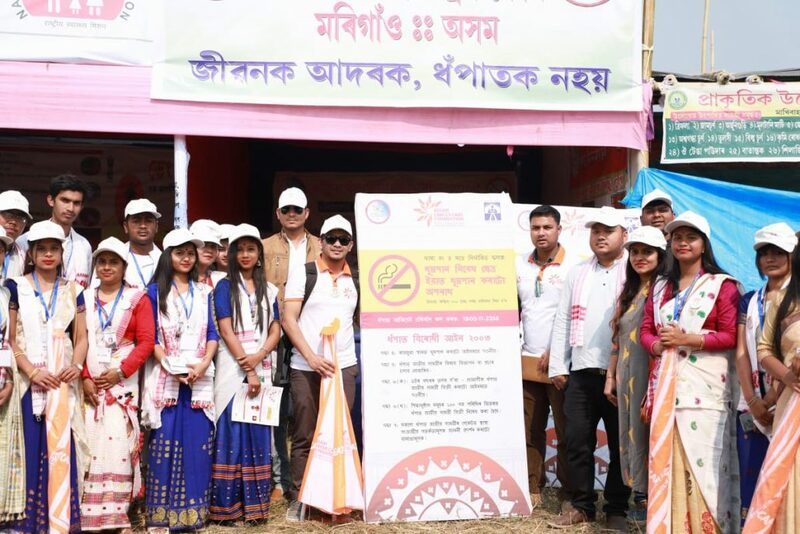 In the four-day annual conference, Assam Cancer Care Foundation (ACCF) will create awareness on oral, breast and cervical cancer; will mobilize people about screening of common cancers after the age of 30 years; make people aware about the ill-effects of consuming tobacco and conduct live enforcement of ‘tobacco-free zone’ in the entire conference area. Through the 88th Annual Conference of Shankardev Sangha at Morigaon from February 6 to 9, ACCF intends to reach out to the people who will gather for the conference and will sensitize them by collaborating with different local stakeholders. On Wednesday, the volunteers of the National Service Scheme (NSS) from Morigaon College helped in the distribution of leaflets. The volunteers also moved with the police official to enforce tobacco control on the area. In a gathering of about 5000 youth, experts spoke on tobacco control and oral cancer. It is to be mentioned that 48.2 per cent adult population in Assam consume tobacco products due to which every year 32,000 new cancer cases are detected. This event will reach 30 lakh local people in this conference, in which NSS volunteers and youth group of the Sangha will help to promote awareness of tobacco and cancer. 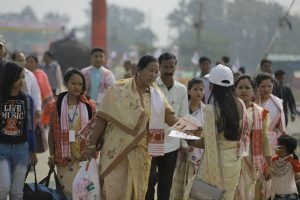 The message of tobacco control and preventive measures for common cancer will be distributed in form of leaflets, banners, standees, youth talks, tableau (3D model of Health and Wellness Centre, COTPA enforcement in schools and public place, photo collage of the awareness campaign of ACCF) and street plays amid gathering of 30 lakh people in the conference for four days. In collaboration with District Tobacco Control Cell, a ‘Tobacco-Free Zone’ will be created by law enforcement through police, youth volunteers and display of signage at different locations of the conference area.